This story was submitted by Harker upper school Spanish teacher and Green Committee member Diana Moss. Members of the upper school’s Harker Green Team – club co-presidents and seniors Anika Banga and Satchi Thockchom, vice president and sophomore Anvi Banga, members Anthony Shing and Alex Shing, grade 10, and Natasha Yen, grade 9, and faculty advisors Kate Shafer and Diana Moss – attended the Students for Green High Schools conference at the Google campus in Mountain View on Saturday, Jan. 26. 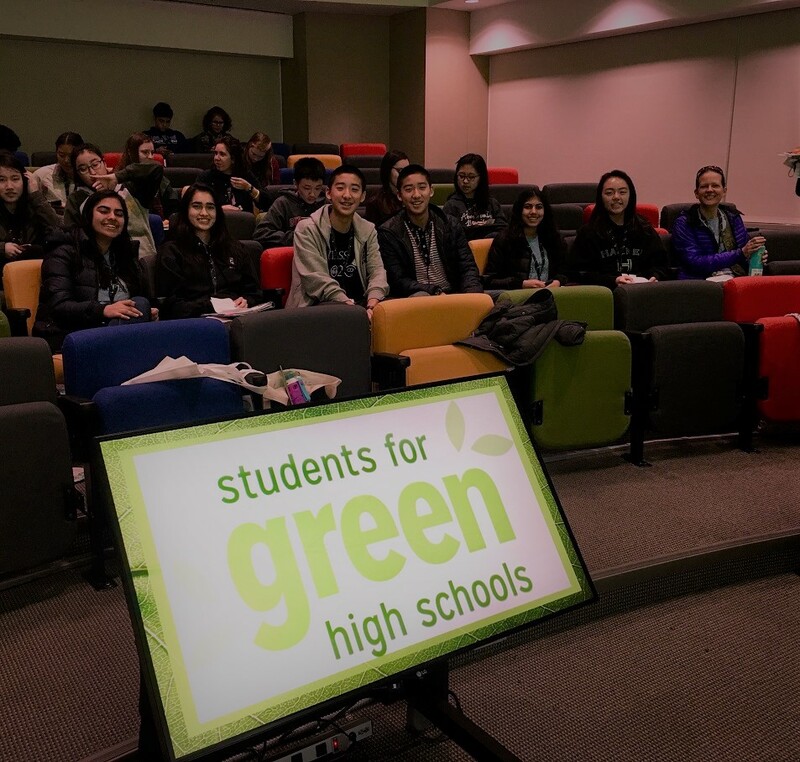 The event, sponsored by the Los Altos High School Green Team, was attended by 85 students from 15 high schools, both public and private, from throughout the Bay Area. Each school gave a five-minute presentation about initiatives their clubs have undertaken, what inspires them and specific environmental projects they hope to work on in the future. Harker’s team gave a great presentation about our Environmental Community Service trips, Green Tips of the Week project, 2016 Harker Green Challenge using the SJ Environment phone app and 2017 Meatless Mondays proposal. Attendees also heard from Stanford student Sierra Rose García, who spoke about the initiatives that Students for a Sustainable Stanford are working on, and got a pep talk on continuing to promote sustainability on their campuses. Harker Green Team members had the chance to meet and exchange ideas with many students and came back inspired to take on new projects. They are currently making plans for Earth Week this spring, April 16-22.